Take a look at these two pictures. The top image I tried cutting with the Deep Cut Blade and the bottom image was cut with the Knife Blade. It does great with the small cutouts, and edges are all so clean. 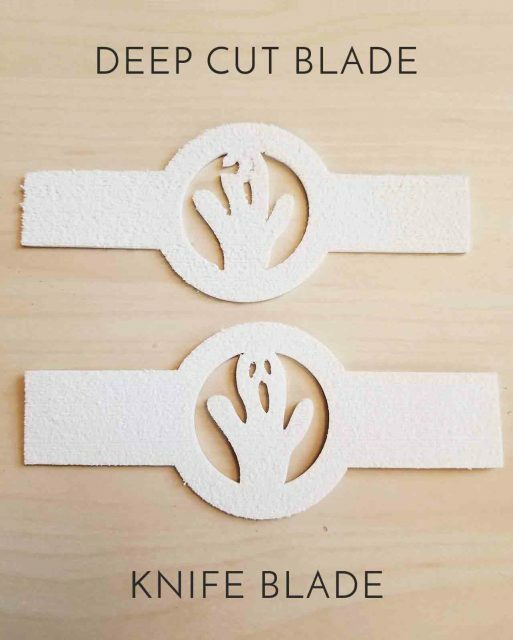 Knife Blade**only $20 right now! 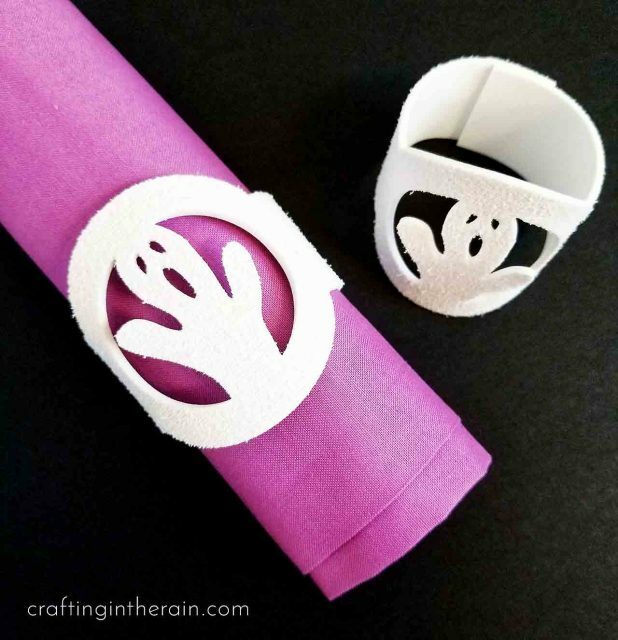 To make the Ghost Napkin Rings, open this Design Space Project. Press craft foam down onto a Strong Grip (purple) mat. Move all the star wheels to the side so you don’t get impression lines on your craft foam. Click “Browse all materials” and search for “foam.” Then select “craft foam.” Click “edit tools” to change to the Knife Blade. Cut the project and remove pieces from the mat. 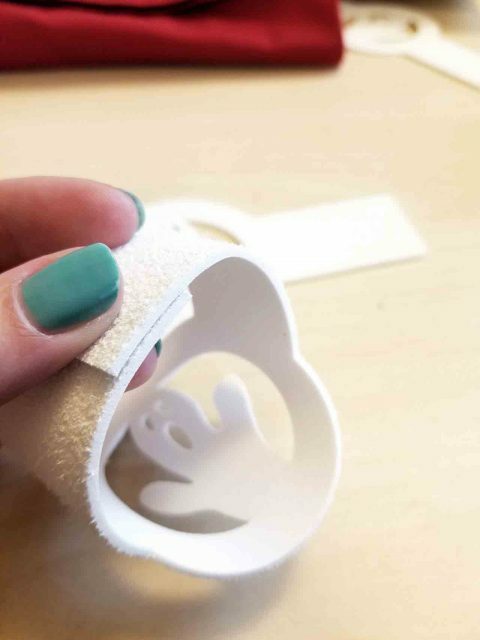 Use hot glue or glue dots to glue the ends together to make the ring. 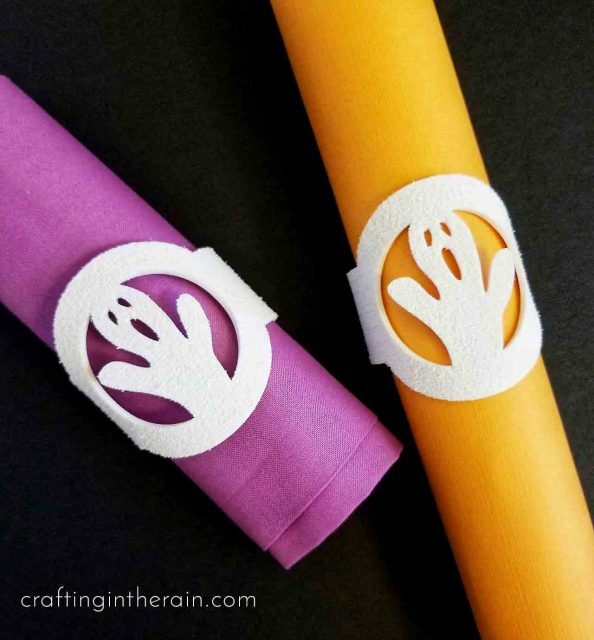 Add napkins in your favorite Halloween colors and add them to your table! Want more ways to use craft foam? Check out these creative posts below.